Create a better car buying and owning experience for your customer. 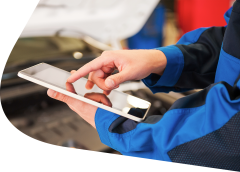 Access our simple-to-use apps for the creation of personalised videos, tailor-made for sales, workshop, web and bodyshops. Create videos, generate relationships, build trust, increase profit and customer satisfaction.